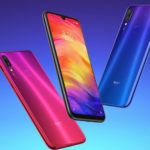 Xiaomi launched the latest Redmi Note 7 lineup in India, last month. 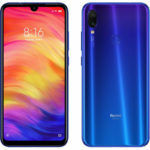 At the time of launch, the company launched just one variant of the Redmi Note 7 Pro carrying 4GB of RAM and 64GB of inbuilt storage. Now, the brand has added the 6GB RAM+128GB Storage variant. 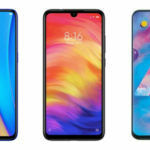 This variant has been listed on Xiaomi’s official website – Mi.com. Although it is not up for purchase yet, we can expect it to go become available in the next flash sale date i.e. April 3, 2019. The Xiaomi Redmi Note 7 Pro 6GB RAM+128GB Storage variant price in India is INR 16,999. It is available in Neptune Blue, Nebula Red, and Space Black color options. The 4GB RAM+64GB Storage variant is priced at INR 13,999 and it is also available in the same color options. 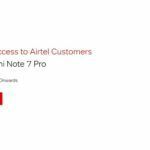 As for the purchase offers, both the Redmi Note 7 and the Redmi Note 7 Pro get up to 1,120GB data on Airtel under Airtel Thanks benefits. Reliance Jio subscribers get double data offer, which is valid on INR 198 and above recharge packs. If purchasing through Mi.com, the buyers can also opt for Mi Protect by paying INR 999 for securing their phone against accidental and liquid damages. 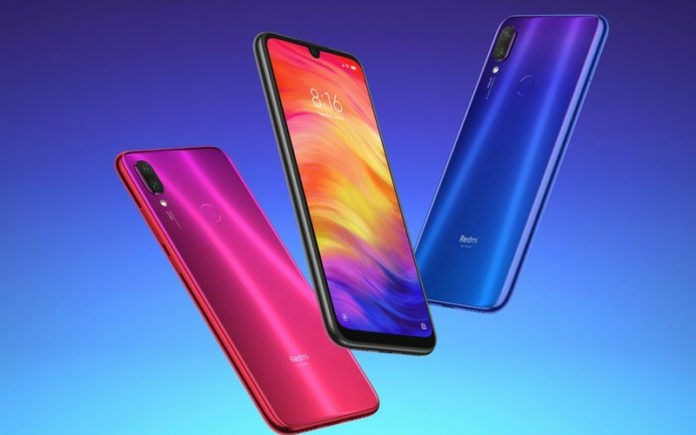 The Xiaomi Redmi Note 7 Pro is a dual-SIM smartphone featuring a 6.3-inch full-HD+ display at 1080×2340 pixels resolution and 19.5:9 aspect ratio. An octa-core Qualcomm Snapdragon 675 processor powers the phone with up to 6GB of RAM. The phone has up to 128GB of internal storage that can be further expanded up to 256GB via microSD card. Concerning optics, the Redmi Note 7 Pro has a 48MP+5MP dual camera setup on the rear with f/1.79 aperture, Single-tone flash, 1.6μm large pixel (4-in-1 Super Pixel), PDAF, and more. It has a 13MP selfie camera on the front with AI Portrait mode, AI Studio lighting, HDR, AI Beautify, and more. A 4,000mAh battery completes the Redmi Note 7 Pro with Qualcomm’s Quick Charge 4.0 support. 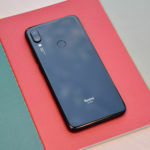 It supports connectivity options including dual-SIM, 4G VoLTE, Wi-Fi 802.11ac, Bluetooth v5.0, USB Type-C port, a 3.5mm headphone jack, and GPS/ A-GPS. Since its first sale, the Redmi Note 7 Pro has touched a milestone sales mark. The smartphone went out of stock within a few seconds of the sale. Being a flash with limited stocks, the Redmi Note 7 Pro is currently the most sought after smartphone in India. Of course, with its pricing and powerful specs, we don’t expect otherwise. We think that the Redmi Note 7 Pro is catching up to the success of the Redmi Note 5 Pro that broke the sales record in India. 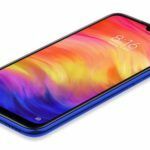 The Redmi Note 6 Pro could not quite catch up with the popularity, but the Redmi Note 7 Pro has all the ingredients to become the highest grossing Xiaomi phone in India after the Note 5 Pro. 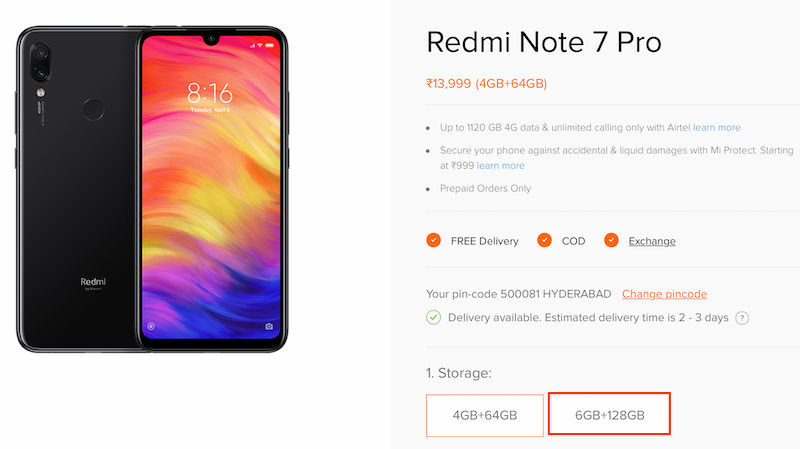 How to buy the Redmi Note 7 Pro as Flipkart and Mi Store are saying that it is coming soon and it is a very crowded flash sale. I want this phone. It was already in Mi Store but they didn’t sell it.